I want to write something, but I don’t know what to say. I feel the earth shake each time an innocent man dies. I feel an uncontrollable rage, that I control because I must, and because I know there is no useful outlet. I understand that violence and riots do nothing to bring back the dead, do nothing to tip the universal scales in the favor of justice. I know that, I think everybody does. But if you cannot trust the police to serve and protect (as the police have shown over and over again – across the country); if you cannot appeal to the legal system for justice (cops get away with murder, literally, while minorities are incarcerated for years for minor offenses and possessing marijuana); if you cannot expect politicians to stand up and call for serious reform of a seriously f! @#ed up system of police brutality… where can you turn? In Baltimore the buzz among the people, if you can tune the newscasters out long enough to listen, is that the politicians have shut down schools, closed up after school programs, limited possibilities for recreational activities for the youth. Rioting is not an answer, but no other answers are being presented, currently. My heart goes out not just to people who have lost property in these riots, but also to the people who feel so angry, so disillusioned, and so helpless that they don’t know what else to do. It’s pathetic that our police forces can’t get this one thing right: quit f! @#ing killing innocent people. It’s pathetic, disgusting, and enraging. In the wake of Freddie Gray, in the wake of Walter Scott, in the wake of Eric Garner, in the wake of Michael Brown, in the wake of so so many more American citizens who have been murdered in cold blood year after year since before our cultural conscience can recall – in the wake of all that and more, what is left but to set the streets on fire? Self-immolation? I’m not saying it’s right – I’m saying I get it. Martin Luther King Jr. wrote Why We Can’t Wait in 1963. Fifty years have passed and more, and there is no sign that racism in our country is tamped out cold. What words would be appropriate for the follow up piece, Why We Are Still Waiting? Or perhaps it should be called, What Are We Still Waiting For? Has Martin Luther King’s dream come true? Will it? How long must we wait? One of two things must be true. Either this sort of police brutality – this nearly weekly killing of innocent civilians, ostensibly guilty of being black – has been going on like this for some time, and we are only just starting to notice; or things are getting worse. Either possibility is utterly unacceptable. Who was Dzhokhar Tsarnaev, and why do we still care what is done to him? The defense is arguing for life in prison because it would be a greater punishment for the boy seeking martyr. If you are diseased, the goal should be to rid the body of disease, not to come up with the most appropriate punishment for the attacking cells. Our whole world is diseased. The self-proclaimed Islamic State cannot look upon the western world without recoiling with disgust. Nor can we look at them without fear, anger, and rage. The world sits poised on the edge of a pin – yet how well do we even understand our standing? Upon what does the major disagreement hinge? What would bring peace and agreement? What would be the best way to eradicate the disease – the disease of inconsolable differences, and utterly violent solutions? We get a little assay of fundamentalism in our hands – yet rather than study it, learn about it, attempt to understand it – we become culturally obsessed with coming up with the best way to punish it for things it has done which probably it does not even fully understand. The obsession we have with bringing Tsarnaev to justice belies our inability to focus on what matters – preventing future Tsarnaev’s from continuing to make us ill. Our blood-thirsty quest for vengeance is part of what is killing us. 500. At least 800. More than 1,000. 2,500. 5,000. 5,000 people dead in Nepal, and the death count is rising. Each time the number goes up, we are reminded that this is news. We follow the updates as well and as often as the rising prize on a big lottery. The number does not add to our understanding, our grief, our resolution to do anything to help. It only adds to the media frenzy. There is something voyeuristic and uncomfortable about the way we foam at the mouth for these stories. Little blips on the map of human civilization. Massive catastrophes that affect us as much as our attention span permits. Tomorrow, we’ll pay attention to something else. Give it a week. Meanwhile, our modicum of grief pales in comparison to our morbid curiosity. The photographer standing above the corpse is faced with the decision – snap a photo to share with the folks back home, or participate in a proper burial. They say that the tragedy in Kathmandu was forewarned. They say we saw this coming. They say it could have been prevented. But the world didn’t notice Nepal until the world came toppling down upon it. The elephant in the room hides in a corner for this one. We can’t realistically claim that earthquakes are related to climate change. Yet there are other tragedies, and more to come. We stand and stare, point our fingers and say oh no, but our lives remain the same. We go from social media blip to blip, while our standard of living directly affects the continued impoverishment and susceptibility to disaster of developing nations all around the world. It’s not to say we should look away – but do we do any good by peering in for a brief moment and imagining we care, then going about our day? Most is fair in love and war. We care now, ostensibly, because there were two Americans who got snubbed out by a recent drone strike. That got our attention. Now, it is a tragedy. Before, it was a strategy. So long as we see Americans and our treatment of them as fundamentally different from foreigners, accidents will happen. To us, to them, to everyone. 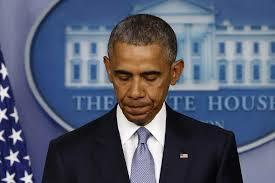 Obama can wear a contrite expression. So can all of us. It does little to bring back the dead, or to change future policy. We desire a war in which only they die. We desire a war in which all we sacrifice our machines. And yet, all war is a sacrifice of humanity. In war, we give up on diplomacy, and agree that killing one another is the most effective solution to our differences. So long as we participate, the bomb drops on us. Ask not for whom the drone strikes: it strikes for you. We wade through our lives one social media update at a time. The world moves and moves us to tears – but then we are on to the next thing, the next story, the next input. If we continually bombard our systems with input, we will be forced to function like computers. The monk with his prayerbeads and his aum namashiva – each prayer that leaves his lips another thousand souls are cast into and out of this world of light and darkness. I can not fathom how to pay the world any mind. I feel more and more to be an unwitting passenger on a train headed for a cliff. We have no brakes, I can’t jump off, I didn’t ask to be here. All that I can do is snap pictures at the coming calamity, and wonder at how we all got here. “Come, Ahab’s compliments to ye; come and see if ye can swerve me. Swerve me? ye cannot swerve me, else ye swerve yourselves! man has ye there. Swerve me? The path to my fixed purpose is laid with iron rails, whereon my soul is grooved to run. Over unsounded gorges, through the rifled hearts of mountains, under torrents’ beds, unerringly I rush! Naught’s an obstacle, naught’s an angle to the iron way!” So wrote Herman Melville, and so we are, still today. To save our world, ourselves, our neighbors, our fellow men, our forests, our glaciers, our oceans, our planet, we must upend the very rails the grand train of civilization rides upon. Just have to say I’m proud to be related Chris! This was well stated, meaningful, and completely a surprise. You have won me over as a person wanting more from a person with a conscience. Rock climbing is cool too but this was potent as hell especially coming from a white boy of privilege. Just saying…..love from us here in New Mexico! Write on!